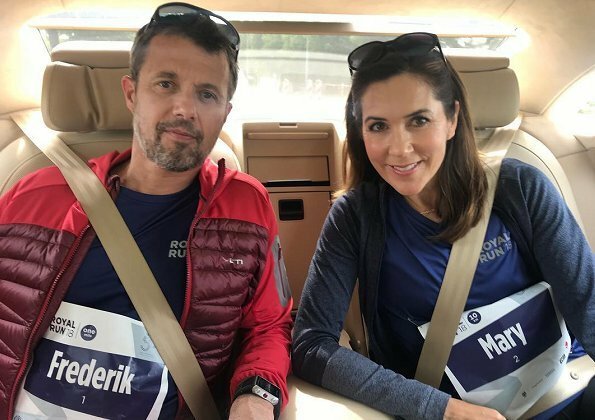 On May 21, on the occasion of 50th birthday celebrations of Crown Prince Frederik, Crown Prince Frederik participated in Royal Run event. 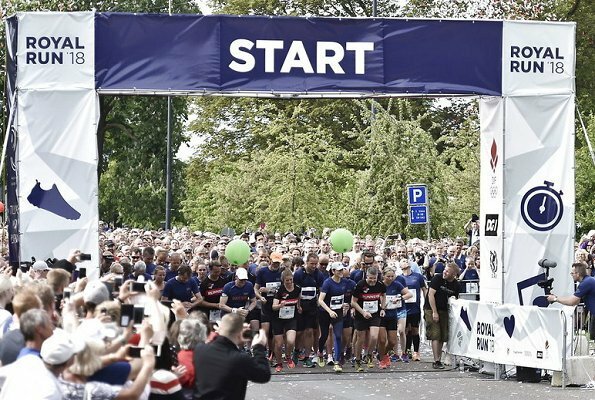 Royal Run took place in Aalborg, Aarhus, Esbjerg cities. 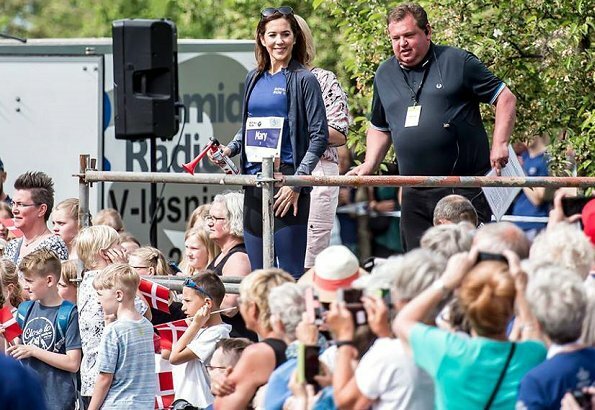 Crown Princess Mary also participated in Royal Run event which was held in Odense city. 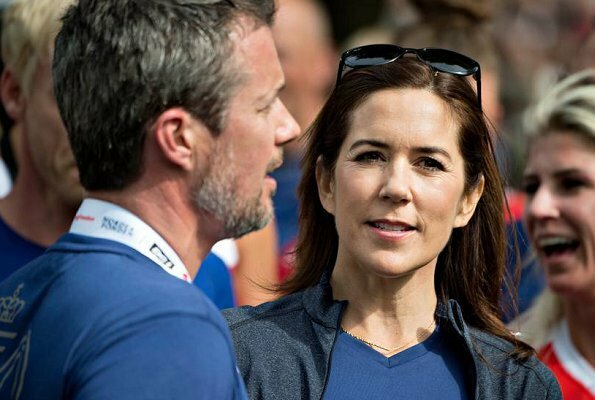 Crown Princess Mary started the One Mile Run, in which the Crown Prince participated. Very nice family,it is really nice to see how much time the family spend outside,they love nature. Their children were also there with Mary. The children and CP Mary ran at family event in the morning near Copenhagen. CP Frederik participated in all five cities. Ran short course in first four, then longer race in Copenhagen - early evening. Queen Margrethe cheered him on from castle balcony and CP Mary and children cheered him as well. In Odense, pictured here, he ran short race while CP Mary ran the longer. Sort of a confusing day but seems they had a lot of fun! 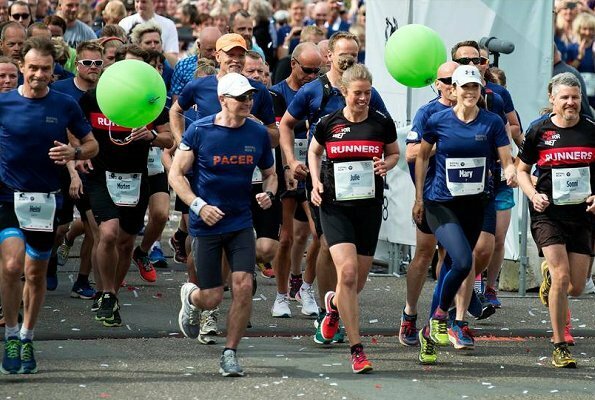 And around 60,000 Danes participated in the five runs. I think this was an excellent way to encourage everyone to exercise. Whether you do a lot or a little it's still good for you - mental as well as physical. I like that instead of just telling people to exercise they led by example! Was für eine tolle Idee! Der KP feiert nicht nur mit seinen Landsleuten sondern tut dies auch noch auf vorbildlich gesunde Weise. Und die Familie ist mit dabei. Das ist hygge!!! KP Mary sieht auch hier super aus. So ein sympathisches Paar!